Jaya (12) just lost his mother and is immediately delivered to the only member of his family who is alive, his father, Johar (48). Johar works in the restricted and remote area of the jermal where hard labour and isolation is the daily routine. A dark past hovers over Johar that forbids him to return to land. Exactly 12 years ago, Johar learnt that his wife was unfaithful, and so assaulted the man she was having an affair with and left him for dead. Johar will surely be arrested if he ever returns to land. Jaya arrives on the jermal by boat only to be immediately rejected by Johar who s shocked by the information that Jaya is his son. Fully aware that he cannot return to land to bring the boy back, Johar is forced to accept Jaya as a worker on the jermal. Coming to terms with the news, both man and boy don’t know how to manage their newly found situation. Jaya tries to blend into the crowd of other boys on the jermal, but fitting in is an arduous task. taunt and bully Jaya to no end. Jaya can’t seem to adjust quickly enough to his new environment, and Johar is no help. By denying the fact that he has a son, Johar destroys Jaya’s expectation of ever finding a haven he has hoped and longed for. Feeling dejected, Jaya attempts to escape, but fails. He is brought back to the jermal and is punished. The boys are taken aback by Jaya’s bold move and gains a little bit more respect from them. through letters from his wife that he never opened before. 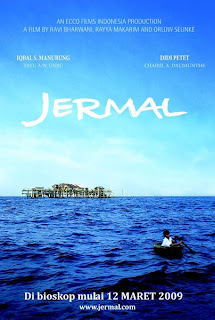 Faced by remnants of the past that one cannot escape, as well as the unrelenting limited space of a location such as the jermal, Johar tries to make amends by slowly opening up and showing initiative to get to know his son. Jaya, however, has become increasingly numb emotionally, losing the sensitivity and warmth that he had before. Eventually, Jaya’s survival efforts go beyond boundaries. His character gets harsher and harder, and it finally culminates into a big fight, where Jaya beats another boy to a pulp. Johar is reminded of his past and sees history repeating itself. Johar reveals his dark secret from the past, and Jaya breaks down realizing what he has become. he wants to do something for his only son. Johar accepts his past, while ignoring all the risks that come with it. In the end, man and boy set for land not as strangers, but as father and son.